Hey forumites! First post here! And a newcomer to SH Figuarts (and to the art of collect) too! My intention is to keep it mainly in this kind of action figures (articulated), in this 1/12 scale... think that S.H. Figuarts is the way to go! But I'm open to make punctual aquisions in other scales (and franchises, and factorys) too! My first figure couldn't be other than my favorite character in the DB franchise: Piccolo! There are other two on their way (S.H. Figuarts Son Gohan Battle Damaged and S.H. Figuarts Naruto). Hope to not been to late to start my collection! Great pick up! I am currently selling a BD SS Gohan and Volume 2 Trunks from this line if you are interested. Great place to start your collection. Figuarts Piccolo is an awesome figure! Thanks! I couldn't started by another character! Yeah! I think I got your point! Just started (December '17), and I'm waiting my eighth one! OK, am looking for good prices, bargains... but still, I'm getting addicted already! Golden frieza is my favorite! His hands and faces are perfect! You can literally see him yelling Die Monkey! As he points his finger. I loved the figure, but just do not like the fact it cames with almost no extras ... as I'm starting now, and the prices in Brazil are a bit high, I'm lookin 'especially for the newer ones - not only cause they come with the 2.0's bodies, that are way better than the first ones - , since they are less expensive and way easy to find ... and, by this way, instead of buying the Golden Frieza, I'm still thinking to take home the new one that is on pre-sale, but really don't know yet. About the more expensive ones, I found here the #17, the #18 and Broly, that are with a price way beyond the line (about 215usd for the first, and 170usd for the other two) - despite the fact that I think Broly is still acceptable, as he is pretty massive in comparartion with the others. Normally, the prices here goes between 250 to 400 reais, about 77 to 125usd, depending on the character (remembering that we have to import and pay the costly custom taxes here). ogrus Hey, I'm brazilian too! Are you in the DB SHF community on fb too? Where do you guys from brazil shop? Mercado livre? doomprevails88 I use Mercado Livre only in specific situations, such as buying used stuff/ or things that only natural person has to sell. Most of the times I buy direct from small stores' websites around the country. When the figure is large (case of Shenron, for instante) I imported from Nippon Yasan, cause they kinda inflate prices when they're big. Hmmm... I'm not so sure about it! Can you send me the link (could be by PM)? As gokubr said, Mercado Livre (ML) is just one of the places that we can use, specially if we are lookin' for second hand figures (some rarities too)! But, normally, we buy through brazilian specialized stores around the country, through third person importers, or direct import... im my case, in this order! Our taxes are high, and our custom are slow, so I don't like to use direct import unless it's the best way to get something! 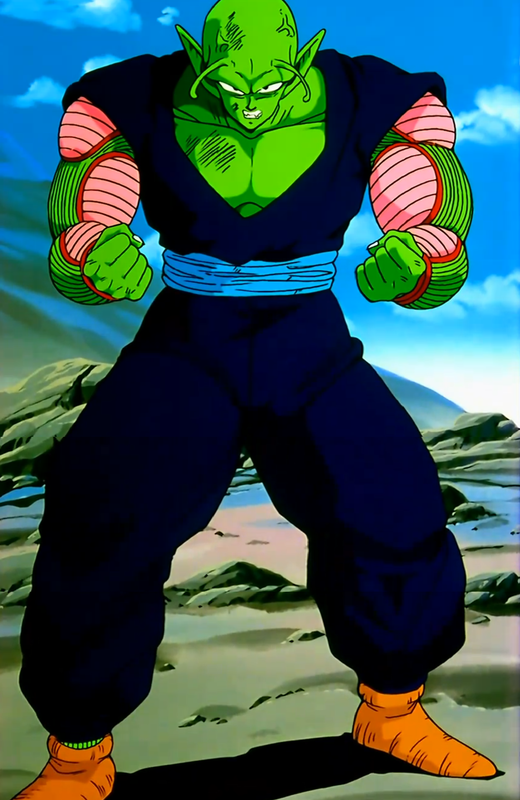 The second to arrive was Piccolo's disciple, Gohan, in his Battle Damaged version! ogrus Sure, just PM'd you. Very well... this thread need a serious update!! After all, as I've found some good negotiations in the last days, this is the current state of the collection!! Now, I need to set up an exhibitor to expose the collection, since, so far, the figures are still getting inside their boxes! !